Ever since I started this blog, this is probably the question that I get asked most often. 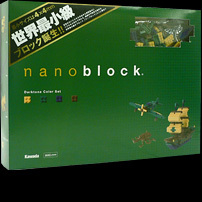 Where do I get generic nanoblock sets ? … Rather than keep answering this question over and over again, I decided to write a full article just to answer this question. There are a few things that I need to address here. Firstly, I am not getting all the different blocks that I use from just one or two specific sets. 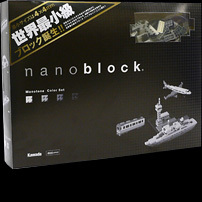 I actually get them from all the different generic sets that nanoblock currently offers, as well as from all the different small sets (e.g.. animals, landmarks, etc). So if you want all the variety of blocks in all the different colours, you have to get many different sets. 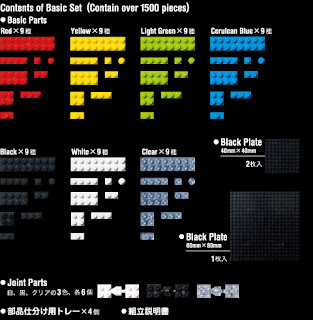 What are the generic nanoblock sets I am talking about? 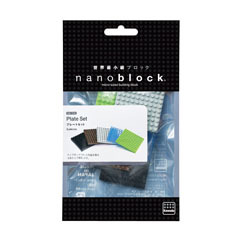 Well, nanoblock currently offers 4 generic sets as shown below. Each set comes with blocks from a certain range of colours. 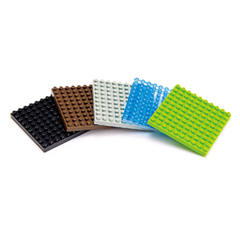 Getting all the above four sets will give you a reasonable palette of colors for building your own creations. Personally, I bought several of each of the above sets. While 1500+ or 800+ pieces might sound like a lot, you have to remember that these numbers are divided out among many colours and many types of blocks for each colour, so in reality, you only get a few pieces of each colour and type. I also bought more Monotone sets than the others, because I find I use the grayscale range of blocks more often. 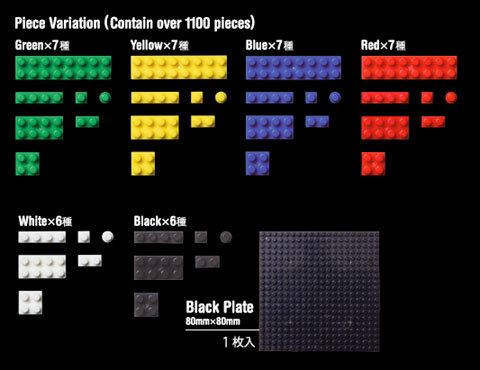 In addition to the above generic sets, you would also probably want to get some of the smaller sets because they come with colours that you do not get with any of the generic sets. For example, the Pig set comes with pink blocks, while the Giraffe comes with light brown blocks, and many of the other smaller sets offers something that you do not get with the above generic sets, so you may want to get them just to expand your palette of colors and block types that you can work with when creating your own designs. If you need more base plates for your creations, you can get these. I have a review of the LED plate over here. Currently, theses generic sets are not available outside Japan as far as I am aware, at least not officially, but there may be some retailers who import them from Japan on a small scale. So where is the best place to get these generic sets ? I bought them from Plamoya. They usually offer between 20% - 35% discount for these sets, and even if you choose to use EMS delivery (courier service), the price still comes out to be about what you would pay to buy them at retail anyway *if* it were available in your country. I chose the EMS delivery option, and I am happy to say I got my items delivered in just a few days. You can choose the normal shipping to save a few bucks, but there is no tracking or insurance, and it takes much longer. One thing about Plamoya that I should point out is that their pricing and discount seems to fluctuate from day to day, so if the set you want is not on discount today, you may want to wait a day or two. They replenish their stock about twice a day, so if it's sold out, do check again the next day. 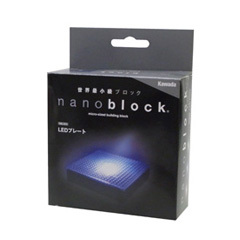 Also, not all the nanoblock items sold in Plamoya are cheap. Some of their items are overpriced because apparently, they are hard to find, so do price checks before you make your purchase. If you want to tell your friends where to buy, do use this link okay ? You'll be helping support this blog as I get a small commission on any purchases. 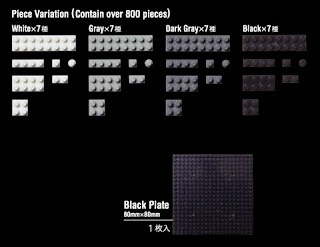 The additional plates and LED plate are also available from Plamoya here. For those of you who prefer to shop on Amazon, you can find all the above items here. Well, I hope this article answers your question. 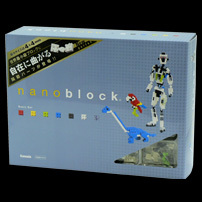 Do follow my nanoblock Facebook page for all the latest updates. hi chris, i had join reading your pages over 4 months. great design. Thank! u've answered my fb question, i'll now look into the basic sets thanks, keep up with ur creation they are awesome! Do you know if these products that I mentioned above are expensive in Japan? Where can buy the NB007 ? It's difficult to find in H.K. 1. I am interested in making the Stormtrooper. 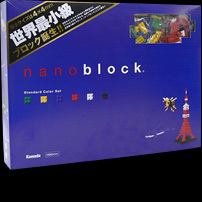 I wanna ask how many nanoblocks you use in total? 2. Although there is a mono tone set which sell in the market, I don't wanna buy this set actually. Because making Stormtrooper need a lot of white blocks and few black and dark gray. Can I find other ways to prepare the blocks? It's a bit hard to estimate, but some of my fans bought around 15 Pandas and use some spare bricks to build it. Don't think I will be making a smaller version anytime soon.